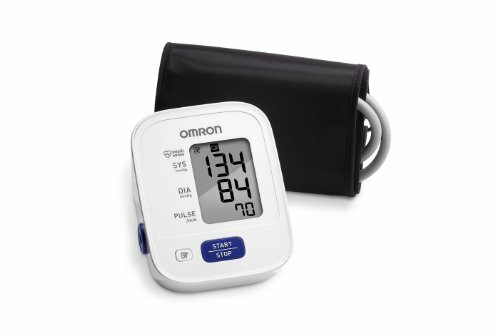 Whether is it “white coat syndrome” or you have high blood pressure, you may be asked to check your blood pressure at home. Your healthcare provider may set parameters of when to call them based on the readings. Home monitoring is looking at trends as well as episodes of variances, so it is important for you to know when you should call the office, or when you should hold (not take) a specific medication due to the readings. The blood pressure is measuring the force of the blood flow through the vessels. A home monitor does this by sensing the vibration of this action. When the heart beats (pumps), there is a surge of pressure, noted as the systolic. This is the top number in the reading when we write it down. When the heart rests between beats, the pressure decreases. This is known as the diastolic, or lower number. An easy way to remember this is d = diastolic = “down” or denominator. Sit quietly for 5 minutes before measuring the BP. Place the monitor on the arm, and press the start button. If you get a reading higher than you expected, rest and re-check it in 5 minutes. There are many causes of this including exercising before the check, stress, caffeine, pain, and a full bladder to name a few. Take your BP diary and BP machine to your follow up visit. This will be useful in determining the effectiveness of your treatment, and also give you the opportunity to check your BP monitor against readings done in the office.